He's so rigorous about netillas yadayim that he washes his hands the whole day! She's so careful about keeping kosher that she seems literally obsessed. He prays for hours on end, worried that he's mispronounced a word or lost concentration. Under the guise of religious observance, countless Jews are held prey to Obsessive-Compulsive Disorder, and this book has what it takes to break out of the horrible cycle of entrapment. 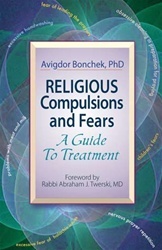 The book also describes treatment for dealing with children's fears and adult fears, such as fear of public speaking and fears of leading the prayers in shul. 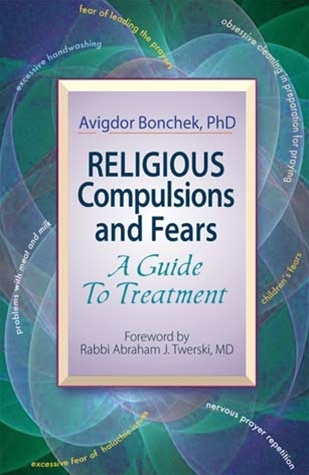 In a clear, easy-to-follow manner, the author, a renowned clinical psychologist, describes the nature of religious compulsions and fears and gives a comprehensive treatment guide that is eminently useful for sufferers, family members, rabbis, teachers, and therapists. This book is a breakthrough, a remarkable tool for understanding, recognizing, and recovering from OCD. With a foreward by Rabbi Abraham J. Twerski, MD and rabbinic endorsements.